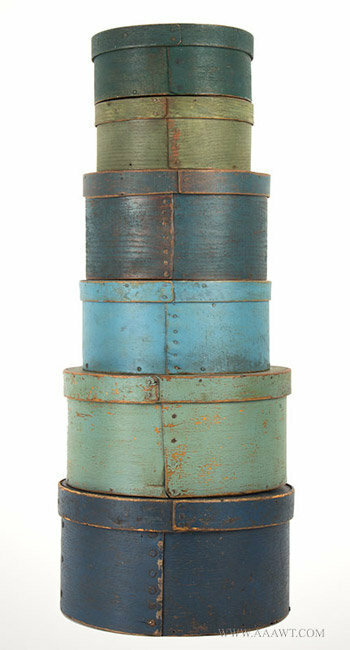 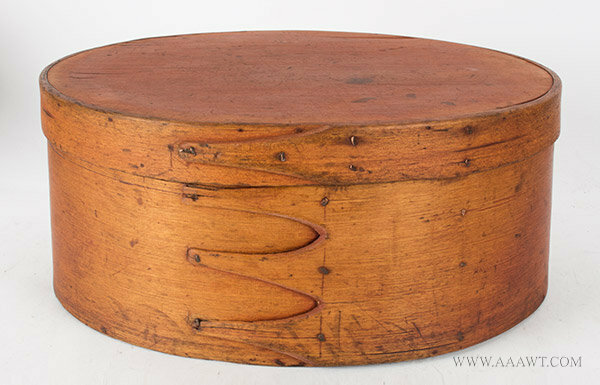 Dimensions: 6" H, 12" diameter. 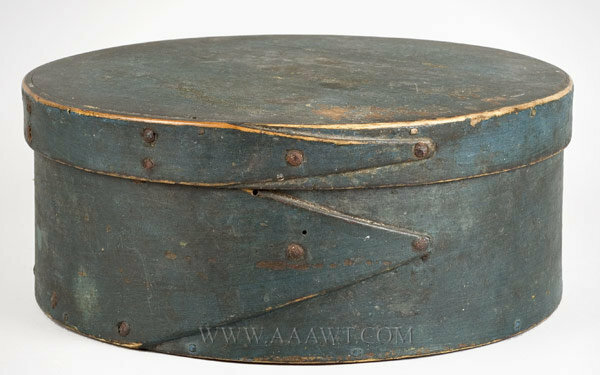 Ash and pine, clinched tack and wood peg construction; old working period whitish-gray over gray paint; excellent condition…smallest box lid band is missing a litter sliver at band terminus that doesn’t distract at all. 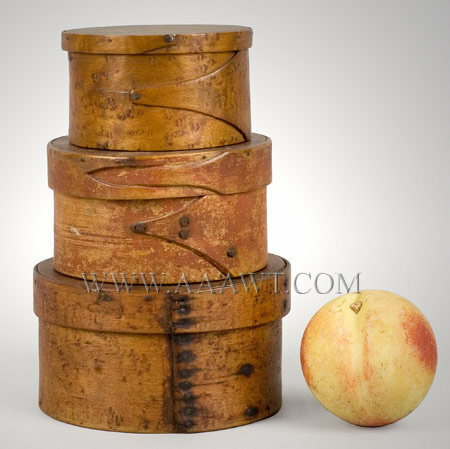 Small: diameter: 7"; height: 3"; Medium: diameter: 9.75"; height: 4.5"; Large: diameter: 10.5"; height: 5.25"
Four graduated boxes, tack-and-peg construction, bentwood sides, pine tops and bottoms, the second smallest impressed "L. Lane" for the maker in center of top. 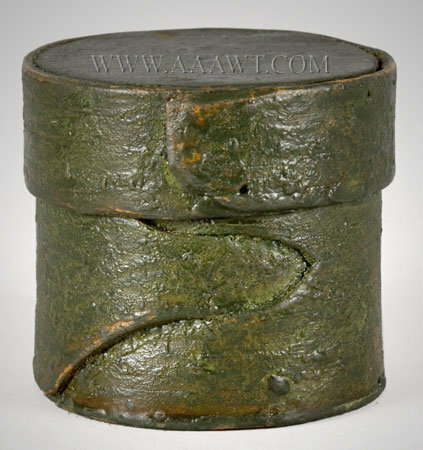 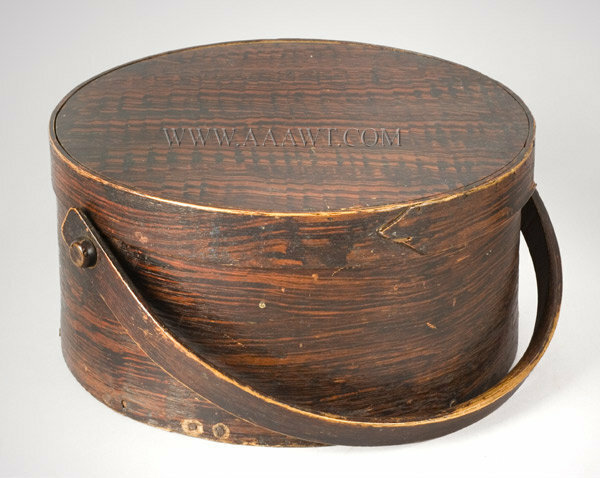 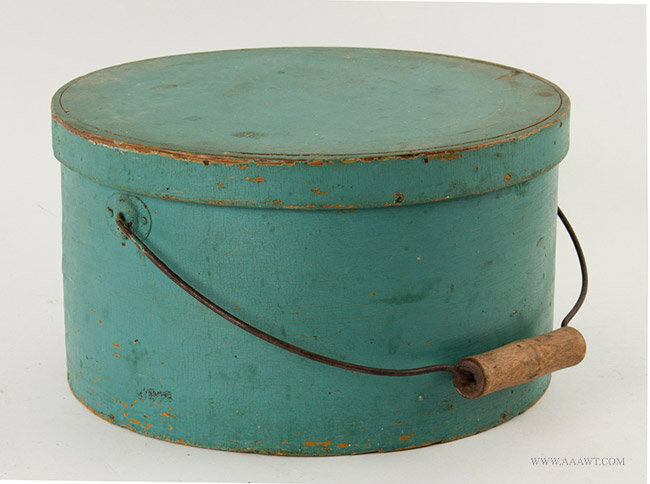 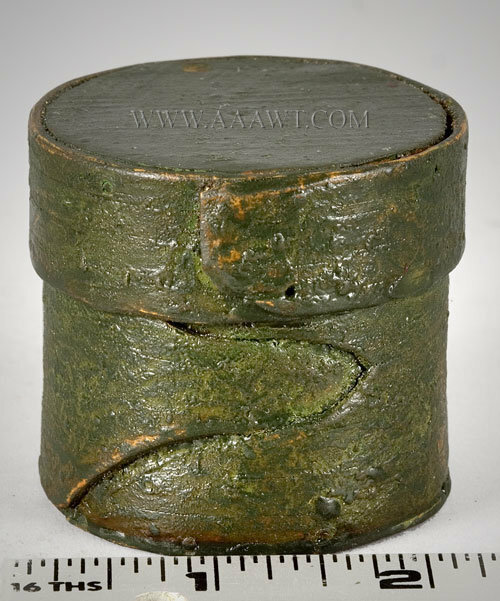 The lid with buttonhole lap over box with single tapering finger; tack and peg construction; strong traces of original red paint. 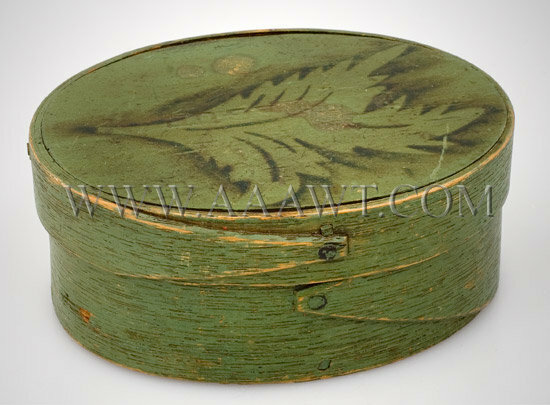 Dimensions: 2.25" H, 5" diameter. 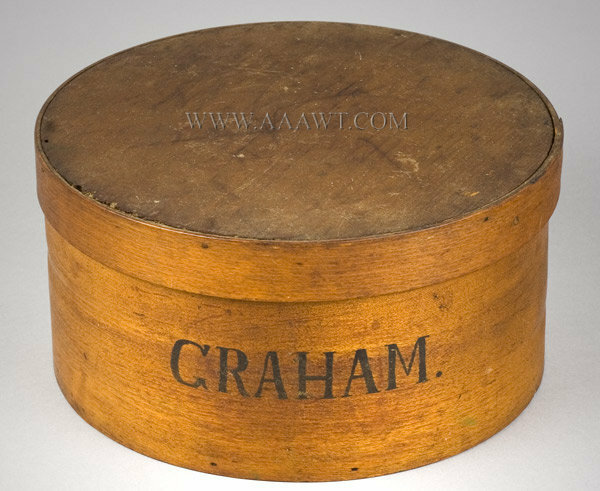 Dimensions: 4.5" H, 8.75" diameter. 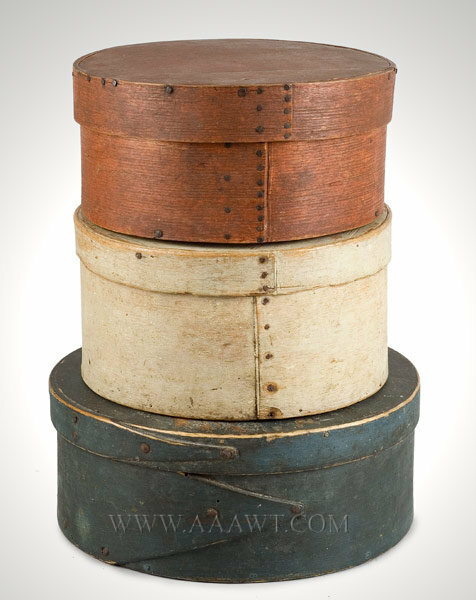 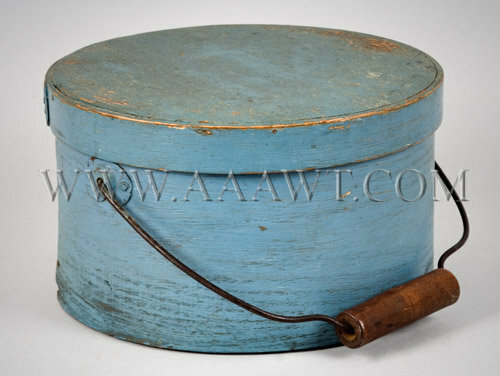 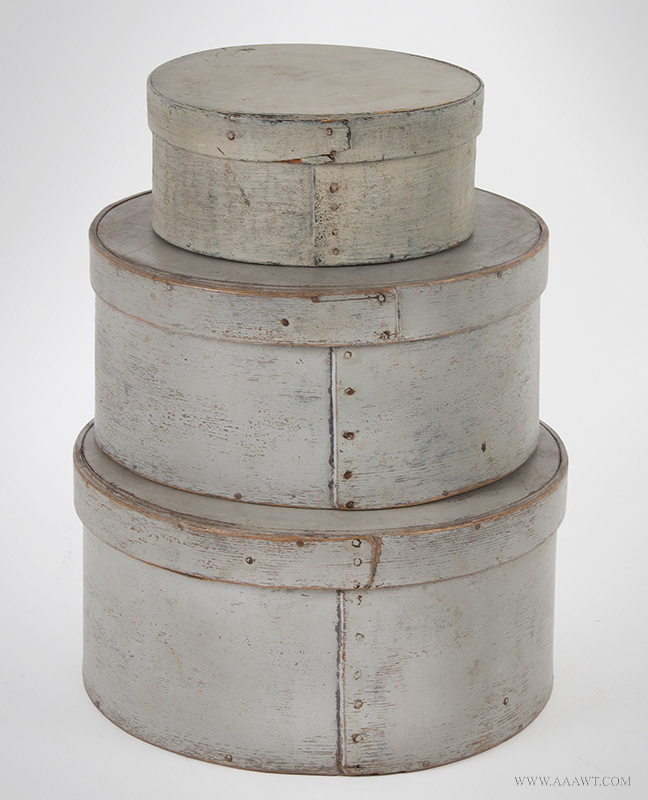 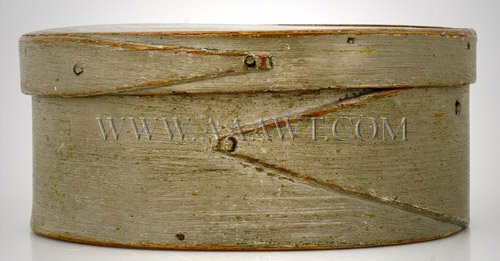 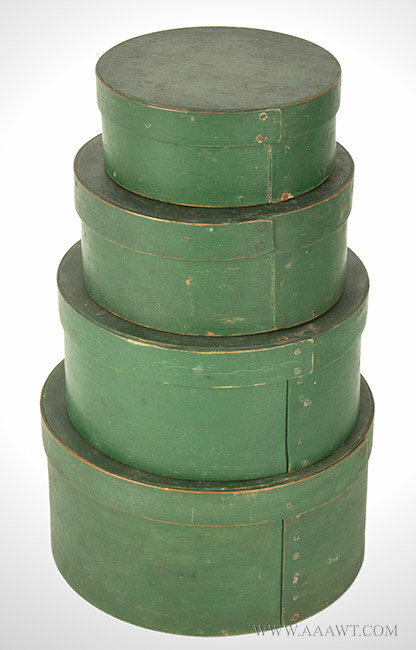 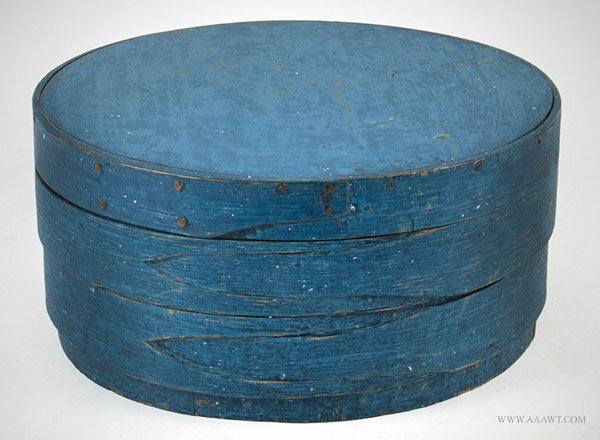 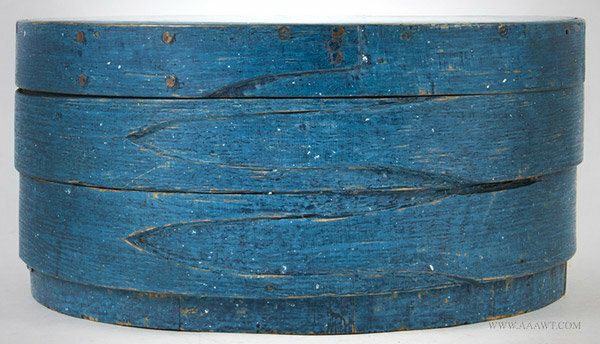 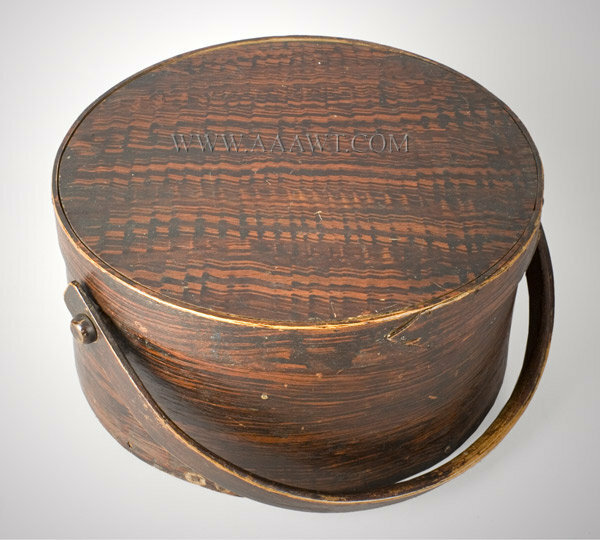 Small oval tack-and-peg constructed Bent-wood box in original paint.